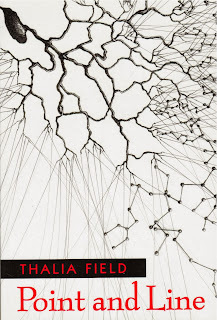 I asked author Thalia Field if she may like to be interviewed for Small Press Book Review, and thankfully she agreed. 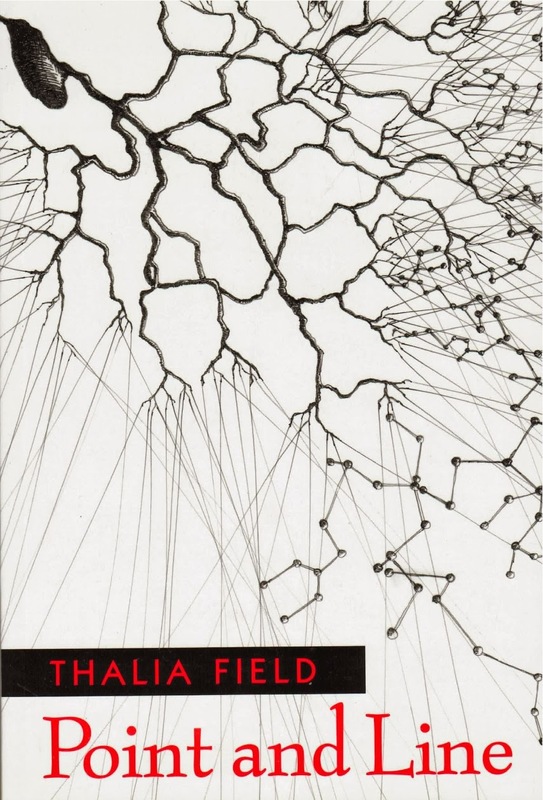 Thalia is a teacher at Brown University, and an experimental fiction writer and multimedia and performance artist. In our interview she speaks about her literary influences, writing her books such as Point and Line, and experimental writing. Please enjoy the interview. How do you plan out your novels or writings—is there improvisation involved? Do you wish the reader to discover something that is hidden in your writing—so that they may become involved in the reading, or perhaps become part of a work of art? I come to the writing as a wonderer, as someone already involved in conversation, even relation, with the writing, so that as I write, I am also a reader, discovering what's there. This flow is a form of improvisation, but also just an openness to the writing process. I tend to stay in what might be called "early" or "young" forms of each piece for a very long time, as I continue to discover aspects to their mysteries. For me, the balance between mystery, language, and situation develops through this give and take, this writer-reader dance. There's nothing particularly random in these discoveries, and nothing that doesn't come to the surface if the piece seems to be demanding it. This leads, I think, to your second question, which seems to want to know if I willingly withhold anything. The answer to that is an emphatic 'no' and in fact if anything I feel that I give an abundance, that I believe in abundance, so that the dramatic or narrative situation is embedded in its full ecology or ecosystem, and not isolated or coy. I don't believe in actively withholding anything or making life difficult for the reader, but I do engage in a fullness that might seem slower paced than other forms of storytelling, especially with some of the more mosaic-like structures, arguments, the ways that layering can work to tease out aspects for either the characters or the situation that might otherwise be too mysterious. But really I love questions that can't be answered, and the very profound act of trying to answer them in the many ways people try. Questions may stay unanswered, but the process is very pleasurable to me. If others don't like my work or want to call me out for something, the consequences of my own efforts in the critical world, the commercial world, even in any one reader's world, are sadly beyond my control. There are many who resonate with the forms of stories I tell, and others who may be turned off for some reason. I don't think any writer can say more than that. But maybe I'm missing something. Do you see your writing as cinematic in any way? Are you inspired by cinema? That's funny you should ask because I consider myself essentially naive before cinema. I love it naively, especially the early period. That's the period, the silent film and early history of film that I've connected to most. But in general, my practice was in theater—I started when I was quite young, and it was my haven and shelter. I love the rehearsal process, the dark stage, the empty stage. I trained as a director, worked as an assistant director to some wonderful people, and eventually through creating improvisational theatrical works found a way to write for theater that interested me. I worked briefly in Berlin, more in Paris, and some in New York, before changing course and deciding to write for books. I was someone with a great range of interests, science, history, and art, and through books I could bring my passions into conversation. I have a weird graphic I made for myself once, and it's the "lineage tree" of everyone that has inspired me and more importantly given me the permission to be myself in my work. There's a slew of people from theater: Erwin Piscator, Chekhov, Mac Wellman, Stein; and then a whole lot of wonderful works that are called novels: everything from Tristram Shandy to Bouvard and Pecuchet, to Virginia Woolf's Three Guineas, and Finnegan's Wake and Invisible Man, and then contemporary writers I'm currently reading like Renee Gladman and Anakana Schofield. There are many more in my graphic also: there's Beckett's novels and Melancholy of Resistance, and there's Reznikoff and Dos Passos, there are contemporary poets I admire like Jena Osman, dance-writers like Michelle Ellsworth, and books I can't help read for fun like Muriel Spark. But there's Groucho Marx and Oscar Wilde. It's a huge question and the answers would likely change daily. But these I'm talking about here are in the pantheon. That is quite interesting, Thalia, about being most interested in the process of creating. Is this interest present in your writing? Interest in interest, that's for sure, where the mind uses creating to continue to allow perception across the surface, the thinking surface of the text. That there's always rupture is the point, that language is insatiable, that questions are as well. And arguments, which often try to block the story, block thinking, can be dissolved through new questions, counter-arguments, or merely silence. Which of the arts is your favorite? I am passionate about the practice of theater... its details, its processes, its byways and obstacles, the traditions embedded in it, its lively relationship to history, and I grew up a sort of theater rat in the best ways. It profoundly shaped who I've become I think, even though I no longer participate directly. I also love music. Those two together would be my favorites. My favorite music is swing, jazz, South African jazz, and opera of the off-beat and innovative sort (from whatever period). Could you tell us about writing A Prank of Georges? Do you see life as a series of games or challenges? Abigail Lang and I found ourselves stuck when we were supposed to be translating, and instead developed a series of machines which were a form of game, at least of play, and playing with Stein’s obsessions with names and personality—we found ourselves in fact challenged by the possibilities of the name George, and all that spun out from there. 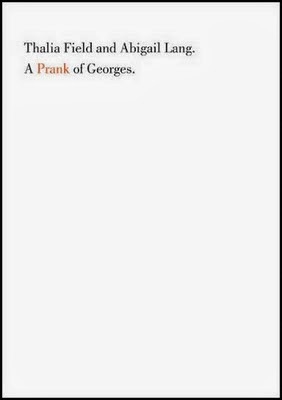 The book is a bit of a poem and certainly a bit of an essay. It’s an invitation to play. Interviewer bio: John Wisniewski is a freelance writer who resides in West Babylon, NY. He has written for Grey Lodge Review/Aliterati, Urban Graffiti magazine, L.A. Review of Books and Toronto Review of Books.